Where can I get the HP Photosmart 375 printer? Unfortunately, we only sell HP Photosmart 375 ink cartridges, not the printer itself. We advise you to contact HP directly and they should be able to provide you with a list of retailers who stock the printer. I have a HP Photosmart 375 which has a HP 700 tri-colour cartridge. I require a replacement but was unable to obtain one from any store I've visited today. Could you please help and advise if this cartridge is still available or tell me of another one that can be used? I'm afraid we do not stock a HP 700 cartridge. If you were previously using a cartridge with this number in your Photosmart 375 it suggets that the printer may have been purchased outside of the UK. If you have a machine that was purchased outside of the UK the cartridges we list will not work and you will need to contact HP directly who should be able to help you find a local supplier. You can't argue with the HP 375 for its crystal clear printouts. One of these weeks your HP 375 will run dry of printer ink, and when that happens you'll soon find that brand new HP 375 ink may be quite costly. Fortunately you have no reason to waste your time worrying about coughing up the high purchase prices you'll see on the high street because right here at Cartridge Save you can find all the HP 375 cartridges you'll need at seriously small prices. Start to save cash on your ink by buying online with Cartridge Save! You don't need to fork over for the 375 original cartridge or 375 compatible ink in the high street when it is far easier to save cash shopping with Cartridge Save. You enjoy perfect satisfaction when you purchase PhotoSmart 375 ink cartridges from us as everything is guaranteed by a hassle-free money back guarantee. Don't forget to take into account that every single order comes with free delivery, typically delivered to your door on the following day! This very portable and compact device is an economical and user-friendly choice for users seeking a reliable photo printer. The HP Photosmart 375 can easily print pictures wirelessly and boasts the capability to print 'high-quality' pictures, but some users say that output quality is far from impressive. HP gave the Photosmart 375 a very compact body that resembles a sleek toaster. It runs on thermal colour inkjet technology and it is very lightweight at 2.6 lbs. The HP Photosmart 375 has a swivelling 2.5-inch preview screen which is big and wide enough for users to do last-minute photo editing using the control panel on top of the device. The maximum resolution of 4800x1200dpi promises lab-quality prints. 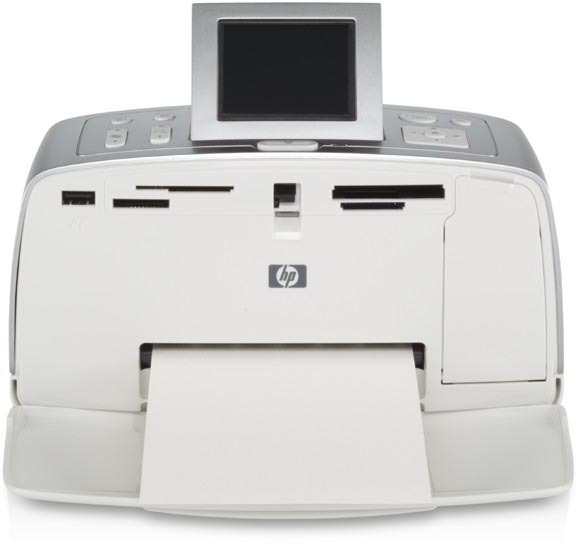 Users can easily link the HP Photosmart 375 to their media devices, including cameras and memory cards. This model boasts optional Bluetooth connectivity, too. It is compatible with both Windows and Mac operating systems, is user-friendly, and is easy to install. HP improved the speed of the HP Photosmart 375; 'best' mode photos are done in 1.5 minutes, and 'draft' mode prints come out in less than a minute. Users would have to replace the standard colour ink cartridges with a greyscale one if they want to print monochrome pictures. The HP Photosmart 375 has very limited media handling capabilities; it can only accommodate a maximum of 4x6-sized photo papers, which makes the printer good only for photo printing and not much else. Some users say that the print quality of the HP Photosmart 375 is not as outstanding as claimed by the manufacturer. Some images come put looking grainy.